An ever-increasing number of people are working from home with each passing year. This includes individuals who work only from home as well as people who telecommute part of the time. As a result, the need for comfortable, functional home offices is also on the upswing. The creation of a home office is something that must be undertaken strategically. In this regard, there are some specific tips to bear in mind when it comes to setting up an ideal home office. You should not take off on pulling together a home office in a haphazard manner. Rather, you need to develop a comprehensive plan for your workspace. This includes developing a list of the critical elements that you must have for your home office. The list should cover all of the basics, like a desk, appropriate chairs, telephone, copy machine, and the like. You will also want to make certain that you identify any other special items unique to the work you will do that you need to include in your fully outfitted home office. Once you have developed a plan you will have a better idea of what you will need in the way of a specific space for your home office. You might have very limited options in this regard. Nevertheless, you need to make certain that the space you select for your home office can be dedicated to that use only. You need a space that will permit you privacy and a lack of distraction. A common mistake people when it comes to creating a home office is developing a great work area but forgetting about space for storage. The reality is that an office requires sufficient storage space for supplies and other purposes. Thus, when you get down to the nitty-gritty of organizing your home office, you need to make sure that you strike an appropriate balance between suitable work space and sufficient area for storage. Another area that many a home worker fails to pay appropriate attention to is lighting. You need to make sure that you have suitable lighting for your home office. Ideally, you are able to set up your home office in a space that has a nice amount of natural lighting. Beyond natural lighting, you will want to make sure that there is sufficient overhead lighting in the space. In addition, you might want to consider what best can be called task lighting. For example, you will want to ensure that you have a suitable light on your desk or other work area. This might seem like a small point but you definitely want to make sure that you have a dedicated phone line for your business. There are a number of reasons why this is important, including you really do not want to make your personal telephone line public. The reality is that a dedicated home office phone line may be a given inasmuch as many residences no longer have landlines anyway. You need to make sure that you establish firm boundaries between your home office and personal matters. A key reason why you want to take this approach as to do with taxes. If you properly maintain a work space in your home you are able to take a tax deduction for that space. You can deduct that portion of your mortgage or rent payments that can be attributed to the amount of space dedicated to your home office, provided you don’t mix business with personal in that area. Another primary reason why you need to maintain firm boundaries between the home office and the rest of the residence is to better ensure your own productivity. You tend to work in your office and enjoy your personal time outside of that area. One of the benefits of working from home is flexibility. With that understood, you still need to maintain a sense of discipline when it comes to conducting business from a home. As a result, you are wise to establish specific office hours each week. Establishing office hours accomplishes two important goals. Taking this approach provides you structure, which enhances efficiency. In addition, establishing specific office hours lets other people in your home know when you cannot be bothered because you are working. Everyone can plan around your office hours, provided that they are made aware of them in advance. For people who own their own business or simply choose to work from a home office, taxpayers are entitled to claim a few home office deductions from their yearly tax payments to the federal government. These deductions include everything from utility costs, gasoline and mileage use, mortgage payments, and miscellaneous costs toward business equipment. These sorts of deductions are most common for those who have established a small business, such as an LLC (Limited Liability Company) or some other form of business registration, usually with their state’s office of secretary of state. Taxpayers must make sure with their CPA or tax advisor which deductions they qualify for, especially for those who qualify for home office deductions. Those making these deductions, be warned: home office deductions are often noticed by the IRS, and those claiming too much or for things that are seemingly frivolous run the risk of being audited. At any rate, it is vitally important for all business owners who work from their home to keep copies of all purchases, receipts of sale, and any other paperwork that may need to be presented in defense in the event of an audit by the IRS. For renters who have an established business, up to half of the rent can be deducted as a tax write-off. For homeowners, the portion of the living space that is exclusively used as a working space must be calculated. Homeowners must measure the dimensions of the office space to be used and then divide that number by the total square feet of the entire residence. For example, if your home is 3,000 square feet and you use a 300-square-foot room as your office, then 10 percent of each expense of the home becomes part of the home-office deduction. You can add to this any direct expenses for the office, such as painting it. It’s helpful to take a photo of your office and keep it with your tax records in case the IRS questions your setup. Additional calculations regarding insurance premiums, home repairs and maintenance, utilities, and other costs will be factored in. 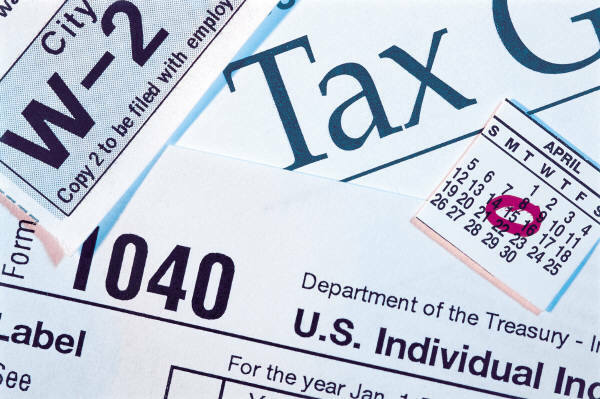 These instructions are available on the 8829 tax form or via the IRS ‘Work from Home’ website. Office equipment like fax machines, printers, computers, furniture, and anything purchased to help people run their business can also be deducted. Nevertheless, computers are considered a “listed” deduction by the IRS, so business owners will be asked to calculate how much of the computer use is for is for business use and personal use. Because your rental space or owned space alike will consume an array of utilities, costs for water, gas, electric, telecommunications, and trash removal services qualify for home office tax deductions. Phone bills can be deducted completely if a business phone with a separate line is installed in the home. The costs that only affect the business end of things can be deducted at the end of the year. If an automobile is used to travel between two destinations, with one of those being your regular place of business, the IRS will consider this up for grabs in terms of tax deductions. Additionally, any trip made by a business owner or employee who makes a delivery to a customer or client, a trip to a vendor, travels to a store to buy a printer or fax machine, or to stop at the bank to make a deposit, all qualify as a business deduction. Mileage rates can change from year to year, but the IRS will allow taxpayers to claim a certain amount of money per mile driven from their taxes. In addition, automotive expenses—like repairs and maintenance—can also be deducted. For mileage deductions, a detailed log of miles obtained on the car should be kept in the event of an audit. A percentage of your house payment, mortgage or house insurance, property and real estate taxes are all available to be claimed for running a home office. Like other deductions, however, taxpayers may only deduct the business percentage of these figures. Portions of one’s rent and renters insurance can also be deduced. Further, any space needed for daycare to watch over children or older individuals can be deducted. Storage space for surplus and inventory can also qualify. Deductions are very simple to make for those who own a business and operate some or all of that venture from their home. However, it is important for taxpayers to avoid stretching the truth on what they can deduct, or try to claim things that really do not affect their business. As such, it is even more so important that taxpayers keep photos and records of everything in the event of an audit. If these things are missing, a business’ defense will go out the window in the event an audit. This can cost taxpayers hefty fines, and in some very unfortunate cases, the very livelihood of their business.